Wondering about the roles performed by a bookkeeper and an accountant? A bookkeeper and an accountant perform some of the similar daily tasks. Some of the bookkeeper’s tasks include maintaining accounting records, posting credits and debits, generating client’s invoices, handling payroll and a lot more. Accountants have good educational background than a bookkeeper and they perform billing, ledger entries, daily financial entries, tax calculation and a lot more. 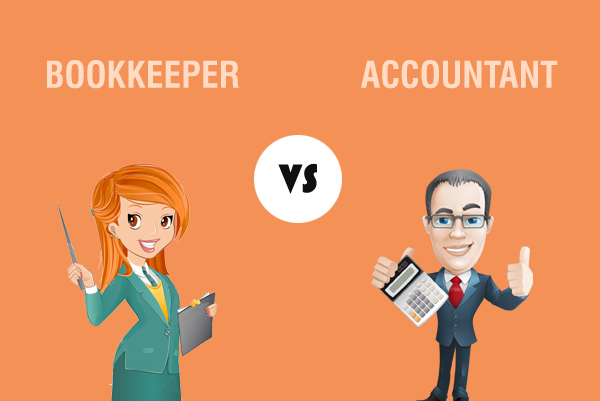 Here is an Infographic representation which will give you an insight on bookkeepers and accountants. If you are in search of an outsourcing bookkeeping and accounting company? We can help you experience the best and most effective bookkeeping and accounting services with us. Think no more. Contact us soon. Great infographics !!! This is a very accurate comparison of both specialties. It is very helpful.